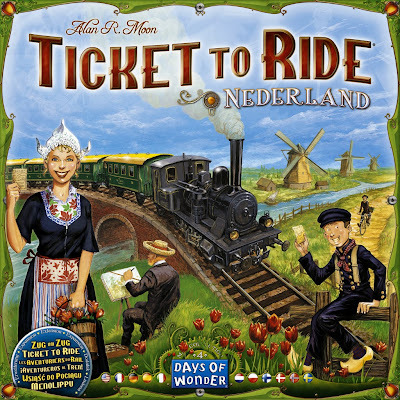 Nederland is the new expansion map for Ticket to Ride. 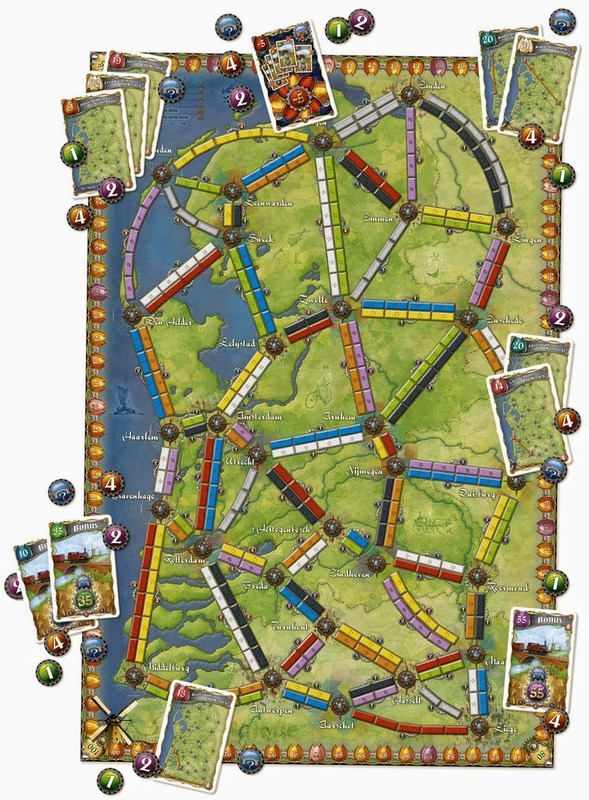 In keeping up with their money grabbing, space wasting ways, Days of Wonder is yet again releasing a one sided map expansion pack. Bleh. Sigh. 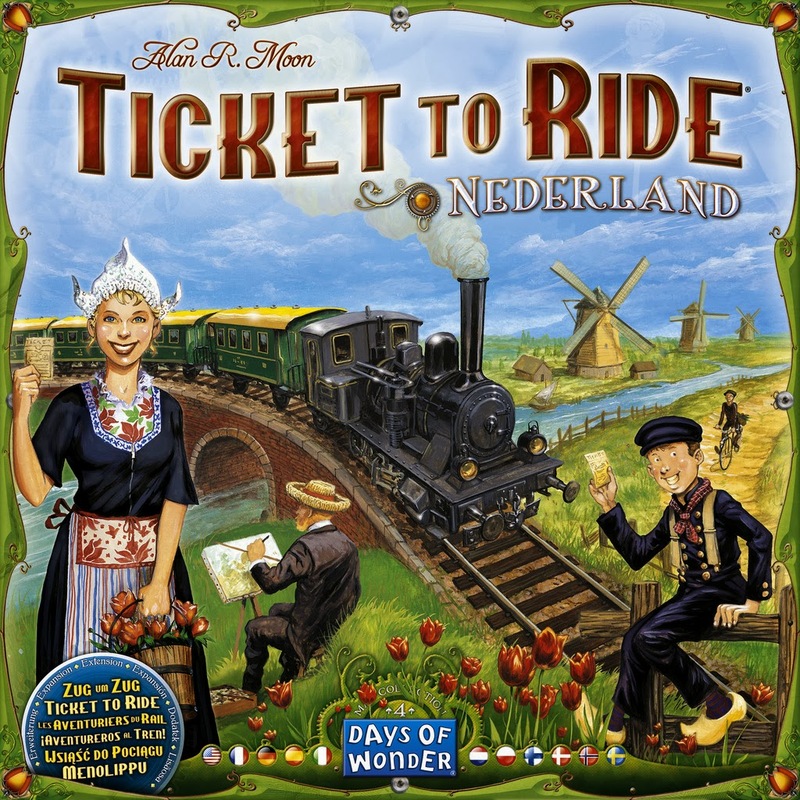 The Nederland map is not merely just a brand new map with the same gameplay elements from basic Ticket to Ride, instead, it brings with it a refreshing take on gameplay by adding in a monetary element that is crucial in the building of tracks and in end game scoring. 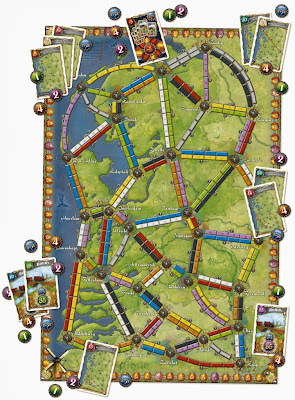 Throughout the game, whenever a player would like to build a track, a certain amount of money will be required to be paid to the bank ( or to another player if he/she has built the first of the double tracks ). If the player has insufficient money, he/she may take a loan from the bank. Watch out though, each loan is worth negative points at the end of the game, and also, if you have any loans with you, you will be ineligible to participate in the end game scoring of points which is distributed to players based on who has the most money left over. What one side map ......... oh disappointing!! !